From now on, we will publish a weekly ownCloud community update. It pulls together activities from development mailing lists, blogs, coding work and everything else community members share with us. Tips are very much welcome! Ping Jos with your input. First, let’s catch up, starting in week 18 and finishing with week 19. You can read a report on the month of april here. 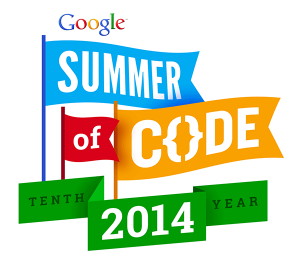 First, let’s talk about Google Summer of Code! We are participating together with openSUSE again. Volkan Gezer has the honor of publishing the first GSOC blogpost on planet ownCloud, already about week two of his GSOC project. He is working on the music app, currently working on improving the playlist. If you want to know what he’s up to, read about his GSOC project on the google site and follow his blog. He is not the only GSOC student on ownCloud: Raghu Nayyar will be working on rewriting the calendar application in AngularJS with the goal of improving extensibility and maintainability. His blog can be found here. Activity app introduced optional email notifications and a new design! There is a large number of pull requests open – everybody who has a bit of ownCloud development experience should considering helping to review them! It not only motivates those who created the code but it helps get these improvements into ownCloud… Find a list of open PR’s for core here. From the apps, the Calendar has 17 open PR’s, the desktop client has 7 and the repository with many other apps has 16 open pull requests. 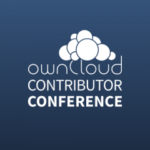 Make a difference, get those numbers down and the code into ownCloud 7! Looking at apps.owncloud.com, there is a bunch of apps with updates in the last weeks. Working2gether, a pseudo multiaccess-management feature for ownCloud that adds the ability to lock files on oC brings an updated translation and color selection in the admin panel. desktop client: a improved tray menu is designed. 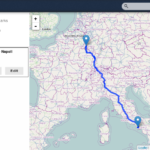 The new ownCloud website is making quick progress, wait for the blog post! Week 19 was the week of LinuxTag Berlin, with a great ownCloud booth and booth workshops as well as a talk by Frank at the Re:Publica event. You can find a blog by Daniel here, a blog by Jos Poortvliet here and Frank’s voice here. Indiegogo features a really cool fund raising effort: the Indie Box. Under the slogan “Let’s Bring Our Data Home”, this personal server features two network interfaces, intended to be the ‘first box in‘ from your broadband connection. It acts as router, firewall, network server and website. Coming with a power efficient Intel Atom CPU, 2 GB of ram and two hard disks in Raid 1, it keeps your data secure and can serve it in many ways. It supports a number of pre-installed apps, including of course our very ownCloud. Check it out, support them and order one if you can! In other news, the latest ownCloud can now be had easily on OpenShift. Last but not least, for those of you living in or close to Berlin, there will be a meetup this week: see meetup.com. 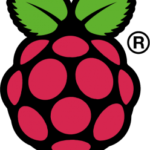 For those in Münich, you can get ready for a meetup on June the 18th. In Stuttgart is the Benztown Ras-PI group but no meeting seems scheduled – perhaps you want to kick that off?